Kate Mayfield is a novelist and memoirist. 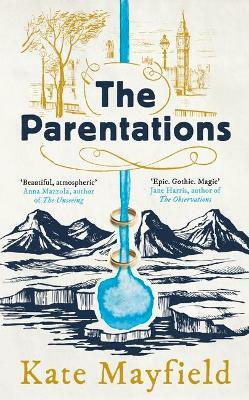 Her debut novel The Parentations is a work of speculative historical fiction. The Undertaker's Daughter is a memoir about her childhood in the American South. Her father was an undertaker in a small segregated town where her family resided in his funeral home for over a decade. She is the co-author of two additional non-fiction books and has written for The Guardian and several online magazines. After attending Western Kentucky University, Kate moved to New York where she graduated from the American Academy of Dramatic Arts. She now makes London her home.